Stornierungsbedingungen: Date hold deposit is not refundable. Including mini display port (thunderbolt to hdmi). 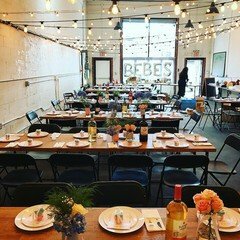 This corporate event venue in Brooklyn was originally a semi-forsaken plumbing garage for a decade. It came back to life in the summer of 2012 after our co-founders converted it into a coworking and event space. 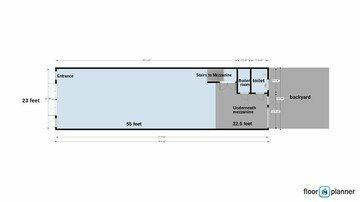 The room is equipped with a high ceiling, skylights, kitchen/dressing room area on a mezzanine level, and a backyard. 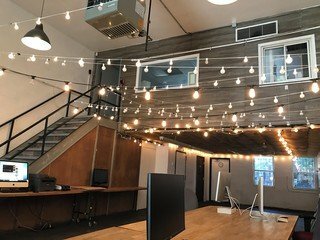 We are about 2000 sq/ft indoors, 500 sq/ft backyard, 500 sq/ft mezzanine and can comfortably accommodate 100 people for seated and standing setups. 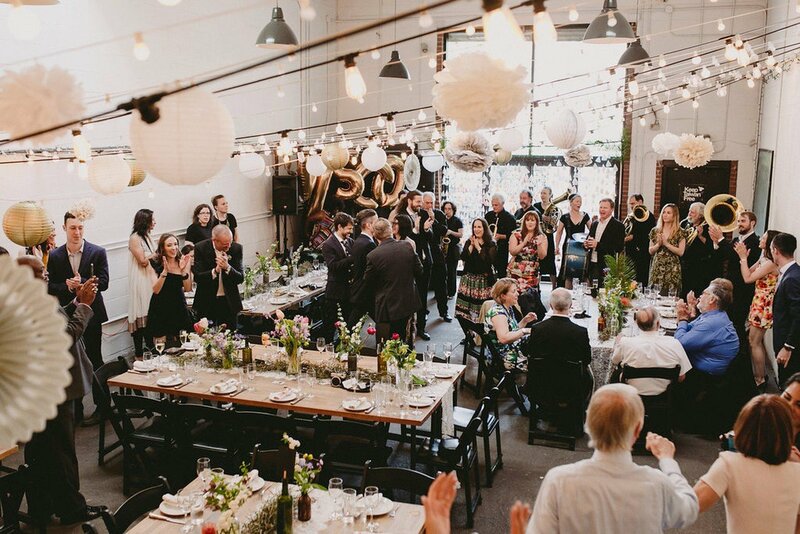 If you are searching for a really cozy and large event space for the next celebration of your company, this event space will definitely contribute to making your event an amazing one. 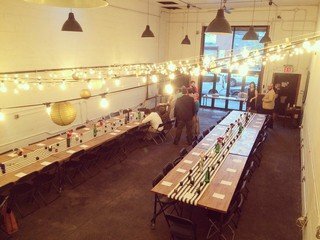 All rental costs of the NYC corporate event venue come with 18 8x2' wooden tables, 100 folding chairs, heating/AC, one bathroom, half kitchen with refrigerator, a changing room in our mezzanine and a private backyard. We also have a projector and 10x10' built-in screen for you to use! 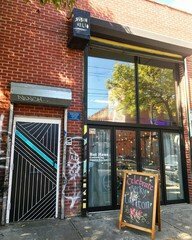 We are located in Brooklyn’s borough Ridgewood, next to the subway station Jefferson. This means you can easily take line L, with which you immediately reach the corporate event venue in NYC. If you prefer coming by car, street parking in the neighborhood is also available and possible. 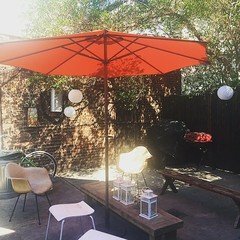 In the surrounding streets, you can find multiple facilities to have a drink or go out to have food, which is convenient if you are planning on having lunch outside of the corporate event venue.